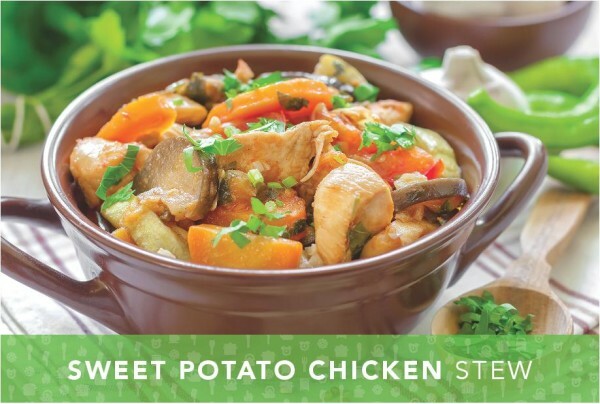 Check out this delicious, vegetable-filled sweet potato chicken stew recipe that the whole family can enjoy! Heat oil in a Dutch oven over medium heat. Add shallots and cook, stirring often, until fragrant and beginning to brown, 5 to 6 minutes. Add garlic and cook, stirring, until fragrant, about 1 minute. Add rosemary; cook, stirring, until fragrant, 30 to 60 seconds. Add chicken, sweet potatoes, mushrooms, wine, and broth; stir to combine. Bring to a simmer. Reduce heat to low and simmer, partially covered, stirring occasionally and adding broth, if needed, until the sweet potatoes are tender and chicken is cooked through, 30 to 35 minutes. Remove from heat, and stir in vinegar. Enjoy! For more information on our practice, visit our website.